N.A.P.E.S. : Paul, I understand your organization has just added eye laser surgery to the vision care package. What brought this about, and of how much benefit do you see it bringing to enrollment specialists and their clients and prospects? Disser: What brought it about is demand and innovation. Frankly, there hasn’t been much new on the vision care front for the past few years. And, like any astute marketer, we listen to our companies/customers, prospects, and those who are “in the trenches” selling vision. So, it’s simply a case of giving them what they’ve been asking for … and, in so doing, making the sale that much easier because this new benefit answers an overwhelming demand. N.A.P.E.S. : How is it being offered? Disser: On an elective and discount basis, and through a co-venture of Spectrum Benefits Management Corporation and West Texas Preferred Vision Care, LLC. Those who are enrolled as vision care members are offered a 10-25 percent discount on eye care surgery that utilizes the latest proven successful techniques. And, as a needed part of the benefits package, eye laser surgery joins such popular benefits and features as discount offerings for eye exams, frames, and lenses – including contact lenses. N.A.P.E.S. : With eye laser surgery being so much in the news recently, this sounds like it might represent a breakthrough. Would that assumption be correct? Disser: Absolutely. Our research indicates that more than 150 million Americans wear corrective lenses; that’s nearly half the U.S. population! And the addition of laser surgical techniques will not only mean vastly improved eyesight for many, but their new-found ability to discard eyewear, whether glasses or contact lenses, entirely. N.A.P.E.S. : Is anyone else offering eye laser surgery as part of the benefits package? Disser: To the best of our knowledge-and though it has been talked about with increased frequency recently-we’re the first in the marketplace to offer this benefit. N.A.P.E.S. : Since the addition of eye laser surgery answers a nationwide demand, this should be of great interest to many enrollment specialists. What else should they know about vision care If they want to consider marketing the product? Disser: To begin, vision care has come a long way since it was introduced. It was once referred to as the “stepchild” of the benefits family … almost as an afterthought, if thought about at all. But slowly but surely, backed by research and the exercise of plain old common sense, the undeniable fact took hold that there are millions of people throughout the country with less than perfect eyesight who would welcome whatever plans that might be available to help their vision problems and their ability to pay for such care. N.A.P.E.S. : So how, exactly, does all this work … and what’s the marketing approach? Disser: Vision care benefits are offered for marketing to insurance companies and their affiliated agencies/brokerages through preferred provider organizations (PPOs). And, as a major part of the marketing thrust to prospects, discount card access plans are offered. These plans allow those with vision care benefits to access nationwide and regional networks of independent optometrists who provide substantial savings on eye exams, frames, and lenses. The networks have been set up in such a way that, for 90 percent of the nation’s populace, there’s a providing optometrist within no more than a 20-minute drive of vision care members. N.A.P.E.S. : What type of plans are offered? Disser: There are several type of eye care plans-and they’re all extremely low-cost. Some are but $12 to $18 per year per employee; others range from $5 to $12 per month per employee. The low cost is attributable to the fact that all is predetermined; therefore there is no insurance risk exposure element in the discount card benefit design. Further, and not-so-incidentally, these type of plans are easy to install and administer, thereby boosting profitability. N.A.P.E.S. : But where does eye laser surgery fit within all you’ve just mentioned? Disser: Good question. And, in answer, there are variations of the vision care offering which allow for routine eye examinations, along with discounts on optical goods, as well as the latest innovation, eye laser surgery. These plans can be designed with the employer’s budgetary considerations in mind. 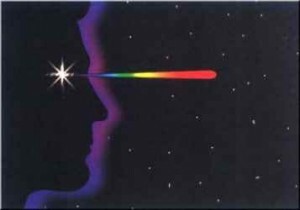 The way that is accomplished is by managing the frequency with which employees/members can use their vision benefits. N.A.P.E.S. : Can you give an example of what you’ve just cited? Disser: Yes, of course. For example, the frequency can be managed once every 12 or 24 months, and by scheduling the level of reimbursement for exams, frames, and lenses (I.e., $40 for exams, $30 for frames, $30 for lenses). Typically, these are the plans that range in cost from $5 to $12 per month per employee. The initial laser surgery benefit is being structured around a traditional PPO discount formula. Ultimately, surgery benefit reimbursements will evolve as they have for exams, frames, lenses, and contacts. N.A.P.E.S. : What’s the current marketing penetration for vision care? Disser: The answer represents more good news for carriers and enrollment specialists. It’s less than 35 percent in the U.S. labor force, and less than 25 percent among the general population, according to surveys by such organizations as LIMRA, A. Foster Higgins, and Hewitt Associates. N.A.P.E.S. : What else is there, positively speaking, that should be of interest to companies and enrollment specialists? Disser: I believe one of the major points is that vision can be an enhancement to the main package the carrier is primarily underwriting and can lead to a comfort zone of unparalleled proportions within the marketing arena. There is no underwriting or risk exposure and cost factors associated with the typical underwritten product. N.A.P.E.S. : Then you consider vision care to be an enhancement and valuable add-on to the primary package being sold? Disser: Yes, for the most part… and whether that product be group life or health, standard disability income, long-term care, dental, or whatever. It should also be of significant interest to enrollment specialists to know that the findings of countless surveys have always listed vision near the top of the list of benefits most requested by employees. So, although I see vision’s role primarily being as an add-on to the primary package, it also can-and often does-serve as a door-opener to the sale of other products. And that’s because so few employers offer vision care. N.A.P.E.S. : Anything else you believe our readers should know within the area of ancillary products such as vision? Disser: Yes, with certainty. Enrollment specialists and all industry marketers should always keep in mind that ancillary benefits additions to small and large-employer group plans provide needed services, while creating new sales and revenue opportunities. In fact, success in the managed care vision arena has prompted requests to companies from satisfied employers for additional ancillary benefit programs. N.A.P.E.S. : And now, Paul, any final comments concerning the offering of vision care? Disser: Yes, it’s also worth noting that successful companies in this arena are adept at finding the right match in network development and maintenance, internal operating systems and procedures, marketing and fulfillment materials, and of course, customer service. Therefore, it’s important for insurers to spread the word to their agencies and brokerages-and for enrollment specialists to understand-that after the sale is made, all servicing is handled by the PPO. And that, of course, constitutes even more good news for those in the work site marketing arena. Paul J. Disser is Chairman, CEO, and President of Spectrum Vision Systems, Inc., Overland Park, Kansas a managed vision care company and PPO servicing over 20,000 companies and four million subscribers throughout the United States, Puerto Rico, and the U.S. Virgin Islands. He can be reached at (1-800) 635-7874; fax: (1-913)451-1704.